Paul Buonomo enjoys his job stuffing envelopes, collating papers and carrying out other tasks in a program in Danvers known as a sheltered workshop. His parents, Doris and Joe Buonomo, maintain that the workshop, run by Heritage Industries, is the best such program Paul has ever been in. But in the wake of a national debate over the political correctness of sheltered workshop programs for people with developmental disabilities, programs such as Paul’s may soon be phased out. Here in Massachusetts, the Department of Developmental Services is reviewing its policies regarding sheltered workshops and has invited state-funded providers into a working group to determine what the future will be for the programs. Sheltered workshops provide opportunities for developmentally disabled people to do assembly work and other tasks, usually for a small amount of pay, in group settings. The charge of political incorrectness stems from the fact that the workers are not participating in the nation’s mainstream workforce and are therefore allegedly being “segregated” from non-disabled people. In many – perhaps in most – cases they also receive sub-minimum wages. The charge that sheltered workshops promote segregation and inadequate pay to disabled people is being leveled not only by a number of advocacy groups, but by government agencies, including the federal Department of Justice and the National Council on Disability. These are the same advocates and agencies, by the way, that have long opposed all forms of congregate care for the developmentally disabled. But supporters of sheltered workshops, many of whom are family members of the workshop participants, argue that these programs provide their loved ones with fulfilling work and skill-building activities, and that if the programs were eliminated, there would often be nothing to take their place. The Buonomos, for example, don’t believe their son, who is 60 and has moderate intellectual disability, is at all segregated or placed at a disadvantage because he isn’t receiving a competitive wage in a mainstream workforce setting. Heritage Industries provides Paul with a check every two weeks that varies from $2 to $10, depending on the amount of work Paul does, according to Joe Buonomo. It’s not much money, Joe says, but Paul lives in a state-operated group home and doesn’t personally have to deal with financial pressures that would necessitate a job paying a competitive wage. Gail Orzechowski, whose sister, Carol Chunglo, 73, participates in a sheltered workshop in Orange operated by Interface Precision Benchworks, maintains that the program has “opened up her (Carol’s) world. I don’t know how they can say she’s segregated,” she adds. 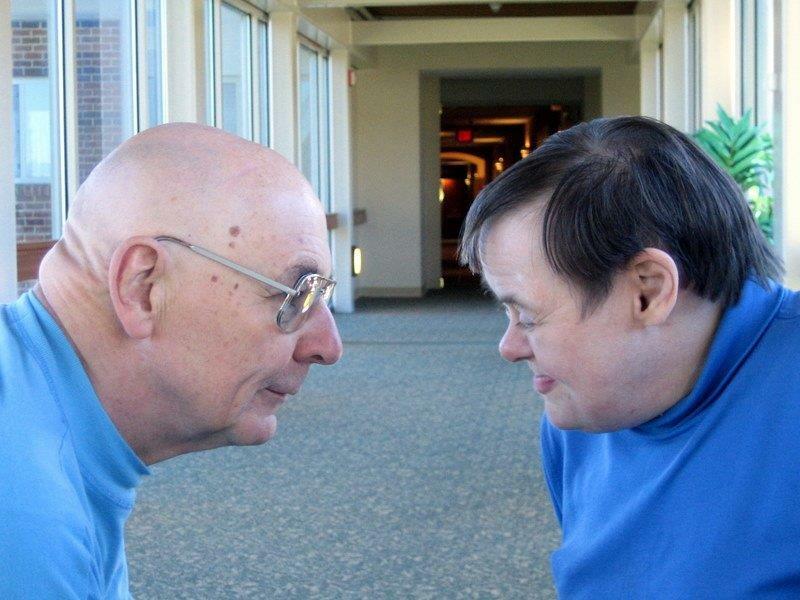 The Arc of Massachusetts has stated that the impetus in Massachusetts to reconsider its sheltered workshop policies stems from litigation in Rhode Island and Oregon, which has involved the Justice Department. In the Rhode Island case, a service provider was accused of improperly “segregating” developmentally disabled persons in a sheltered workshop and paying them sub-minimum wages. Under a settlement of the case, clients in sheltered workshops will be switched to supervised mainstream employment, which implies the end of sheltered workshops in that state. It’s not quite clear to us, though, how providing real jobs at real wages to all disabled people will actually happen. Like the Buonomos and Gail Orzechowski, we also don’t buy the charge of segregation when it comes sheltered workshops, in particular. Doris Buonomo says she hopes DDS will listen to outside voices, particularly those of parents like her and her husband Joe, who believe the workshops have made a positive difference in their loved ones’ lives. Thurs far, we have heard only that DDS has invited the Massachusetts Association of Developmental Disabilities Providers and the Massachusetts Arc to participate in the working group that is reviewing the Department’s sheltered workshop policies. Both of those organizations have taken positions against the workshops (here and here). Meanwhile, family members and other supporters of sheltered workshops around the country are fighting the tide of closures of sheltered workshop programs. They contend the Justice Department and other opponents of the workshops are fighting an ideological war, but are offering no viable alternatives. In New Jersey, the state Legislature stepped in this summer to prevent a plan by the state to close the state’s sheltered workshops. The New Jersey plan to defund the workshops met with opposition from advocates and from program participants and their families around the state, according to The Burlington County Times. While the idea that people with developmental disabilities should work alongside non-disabled peers and earn competitive wages is good in theory, it doesn’t always work in practice, Doris Bunomo notes. In Paul’s case, for instance, a job at Walmart ended badly for Paul even though he had gotten good performance evaluations there for a job stocking shelves, and had even earned a promotion. Doris said Paul had been working at Walmart for a year, but an incident occurred one day in which he got “upset,” leading to a situation in which he was lectured by the manager and threatened with being fired. Doris said a support staff person for Paul did not follow an agreed-upon protocol between the residence and Walmart, and Paul did not work there again. Doris maintains that many people with developmental disabilities can work in professional or business settings with careful supervision, but that is not always possible. “I think he’s very pleased where he is,” Joe Buonomo says of his son, adding that while Paul primarily interacts with other developmentally disabled people in his sheltered workshop, there are many opportunities in his life to meet people who are not disabled. ”I don’t think he (Paul) feels restricted in any way,” Joe maintains. In addition to the many community-based functions that Paul attends via his group home, he often helps Doris deliver books and other items to their local library and church. Also, given Paul’s lifelong love of trains, his parents have also often taken him to the freight train terminal in South Portland, Maine, where he has “made a ton of friends with the workmen” over the years, Joe says. Orzechowski says the workshop that employs her sister Carol has helped teach her how to function socially. 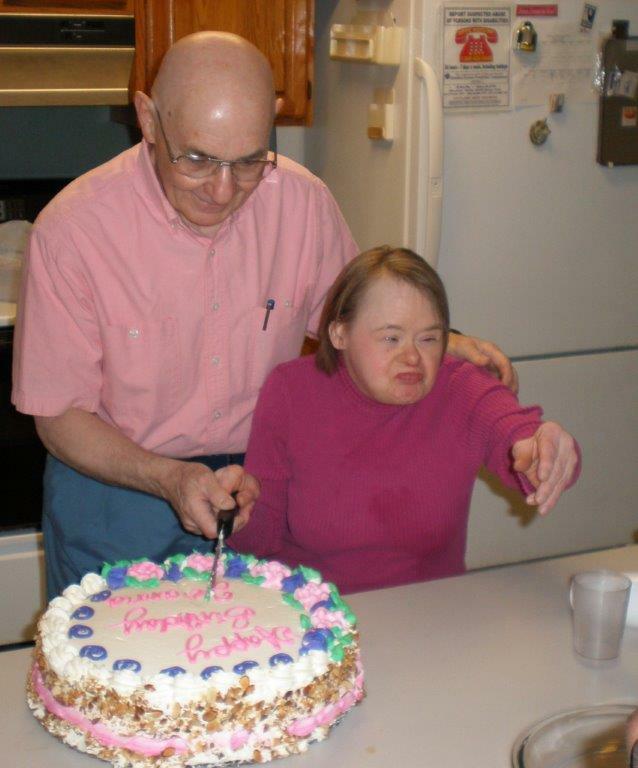 “Her eating habits and her other social habits have improved, and she’s developed friendships since she’s been in the program,” Orzechowski says of her sister, who she describes as having a severe level of intellectual disability. Carol, she says, also has many opportunities to interact with people in the community, including vacations that she has taken with money earned from her workshop program. It’s far from clear what may happen in Massachusetts regarding sheltered workshops. We certainly hope that whatever is done, DDS will first consult with the families involved such as the Buonomos and Gail Orzechowski. If DDS does listen to those people, the Department will find a way to keep these valuable sheltered workshop programs running. I never met Joanna Bezubka, who lived at the Fernald Developmental Center for 39 years and then spent the final seven years of her life in a state-operated group home in Lynnfield. But after reading “Joanna, God’s Special Child,” a new memoir by George Mavridis, I feel I got to know her well enough that I’m sad I never will meet her in the flesh. That’s because Mavridis, Joanna’s cousin and co-guardian, has written an account of her life that makes you realize what a truly remarkable person she was — filled with charm and humor and an independent spirit. These are qualities that many of us would not think possible in a person with a profound intellectual disability whose vocabulary was limited to about 50 words and a small range of vocal inflections. 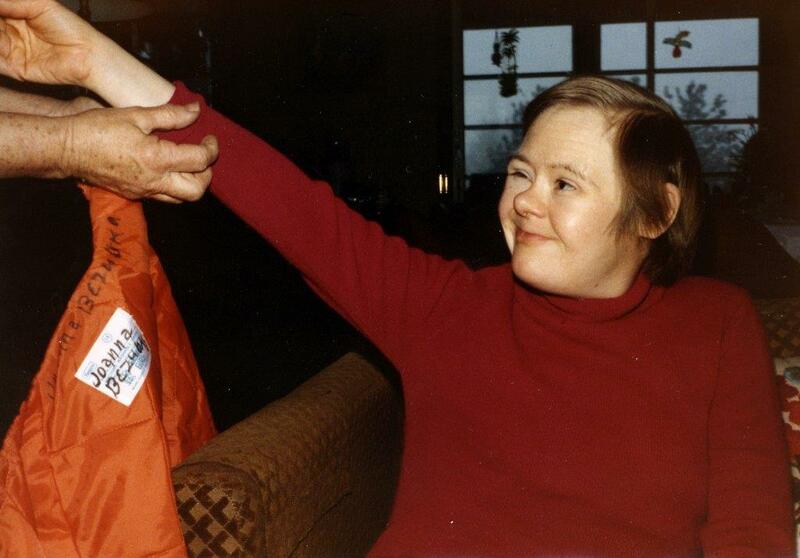 Joanna, who had Down syndrome and the cognitive ability of a two-year-old child, died in January 2012 at the age of 60 after developing Alzheimer’s disease. Given its title, some people might think this book comes at its subject from a religious or sentimental perspective. It is neither of those. As Mavridis explains, “God’s special children” was a description given in the 1950’s by Richard Cardinal Cushing, Roman Catholic Archbishop of Boston, to individuals with mental retardation, now known as intellectual or developmental disability. It’s not that Mavridis rejects Cardinal Cushing’s description. Mavridis is in fact a practicing Catholic who pushed hard to allow Joanna to continue attending Mass every Sunday at the Chapel of the Holy Innocents at Fernald, long after she had left the facility as a resident. It’s that Mavridis goes so much further than Cardinal Cushing’s description in telling us who Joanna really was. Mavridis, a former president of COFAR and The Fernald League, has chronicled Joanna’s life down to some of the smallest details in a matter-of-fact, journalistic style that is all the more compelling because it deals honestly with the major issues of her life, even some of the most difficult and painful episodes. Those episodes include a sexual assault of Joanna, allegedly by staff in a group home in which she lived, and Mavridis’s dogged pursuit of the investigation of the incident. It’s important to note that Mavridis is a strong defender of a comprehensive system of care for people with developmental disabilities, including the availability of federally regulated Intermediate Care Facilities (ICFs) for those, like Joanna, who need or needed them. Mavridis has been a central figure in the still-ongoing effort to keep Fernald open. He is also a member of the legislative committee of the VOR, a national advocacy organization for the developmentally disabled, which, like COFAR, supports ICF-level care. As a VOR legislative committee member, Mavridis organizes visits with the health aides of the members of the New England congressional delegation. But the purpose of Mavridis’s book is not to make a statement on one side or the other in the debate over institutional versus community care. It is rather to chronicle a person’s life and to demonstrate the necessity and effectiveness of advocacy for the most vulnerable among us. If you are the guardian or family member of a developmentally disabled person and you are looking for help in how to cope and advocate on their behalf, I think this book will be very helpful. I think it would also be helpful to legislators and others who seek a better understanding both of who developmentally disabled people are and what is involved in caring and advocating for them. If nothing else, this book provides a detailed set of reasons for the importance of a provision in federal law, which states that family members should be seen as the “primary decision-makers” in caring for intellectually disabled persons. As Joanna’s co-guardian and the family member most intimately involved in her life, Mavridis was an a far better position to understand her needs and to act in her best interest than the bureaucrats and even some other advocates who often claimed to know what was best for her. Joanna’s mother died during a heart operation in 1966 when Joanna was 15 years old. As a result, Mavridis’s mother, Stella, became her guardian, and Mavridis himself became co-guardian in 1991. In later years, Joanna’s brother Ronald Bezubka became a co-guardian along with Mavridis; but as Ronald was living in England, Mavridis remained in charge. In Joanna’s later years, Mavridis would visit her twice a week at her group home and take her to his home in Peabody every Saturday. One of Joanna’s favorite games with people was to ask them to cuff her shirt sleeves. “After you did it, Joanna would straighten the sleeves and ask you to cuff them again. This exercise became endless.” Her favorite activities also included playing with Lego toys and tearing paper into ever smaller pieces. Mavridis found he was obliged to carry a supply of both Lego pieces and pieces of paper with him because Joanna liked to hand out both as tokens of friendship to anyone who came by her. Mavridis also speaks frankly about his own quadruple coronary artery bypass operation, which happened in the same year as the sexual assault, and the effect of his temporary incapacitation on Joanna. He also details Joanna’s physical and mental decline beginning in 2008, when she developed Alzheimer’s Disease, a condition which afflicts nearly all people with Down syndrome as they age. Mavridis relates how sad it was for him to watch Joanna’s limited ability to communicate disappear in her final four years. She stopped tearing paper and she stopped playing with Legos and handing them out as tokens. Mavridis nevertheless was determined to make her life as comfortable as possible and bought special lift equipment for her as well as a special hospital bed and recliner. “I bet I blinked first,” Mavridis says of this photo. Near the start of his book, Mavridis includes a short article by a writer, Emily Perl Kingsley, about what parents go through when they first learn that their child is intellectually disabled. “When you’re going to have a baby, it’s like planning a fabulous vacation trip to Italy,” Kingsley writes. Instead, the plane lands in Holland. “Joanna, God’s Special Child” is the story of a wonderful journey to Holland for Mavridis and his family, and of their discovery of the windmills, tulips, and Rembrandts there.